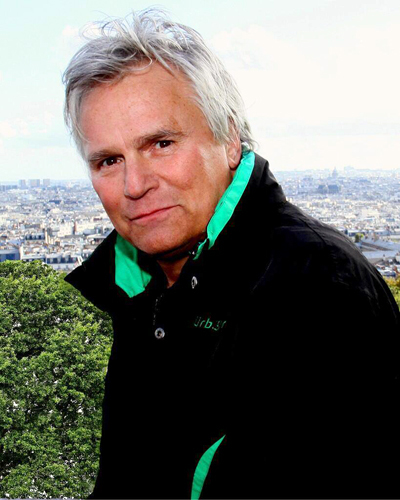 Best known for his roles on MacGyver and Stargate SG-1, Richard Dean Anderson will visit New Zealand next month for the Armageddon Pop Culture Expos in Manakau and Christchurch. James Croot caught up with the now 66-year-old actor. Your one previous visit to New Zealand was to Auckland's Armageddon Expo in October 2014, what's brought you back so soon? For one thing, the people who ran it were so wonderful - beyond polite. There was a quaintness to the event and it was just well worth the trip. Part of the draw this time is New Zealand itself. I didn't get half enough time last time to explore, or even travel around it all - I was pretty focused. I'd like very much to breathe a little bit this time. You've recently had some back trouble which needed surgery. How did that come about? Yes, I had a procedure on my lower back that has helped considerably. It's one of those lingering problems that's been hanging on from my childhood, my early days as MacGyver. I took a couple of falls, one of which really did a number on me - it exploded some vertebrae back there and it's been a problem ever since. I've had an inner-dialogue about the wiseness of doing my own stunts ever since. You'd had some earlier injuries as well though, didn't you? I broke two arms as a 15-year-old, one of which put me in hospital for two months. To be in traction that long is not a healthy situation, especially when you're just kind of discovering sexuality and have raging hormones. It was bad timing all round. Over the years you've been involved with a variety of charities, including the Sea Shepherd environmental group. How did that come about? I used to do ski events and charity events for particular causes. One year, I got an invitation to basically go heli-skiing in Alaska. Since I had never been before, that was just a no-brainer. I was already interested in Sea Shepherd's work because it had something to do with the ocean and wildlife, but when Paul Watson got up and spoke about what they do, he just sunk the hook into me emotionally - I was onboard from that point. I was initially on the board of directors, but I found I couldn't hold that kind of responsibility and organise my real life as well. Now, I'm on the board of advisors helping garner funds for their campaigns, educating people as to what's going on with whaling and sealing, some of which is just a brutal bloodbath and torture. That kind of behaviour towards animals is, to me, ludicrous and not human. Why do you think MacGyver was such a success? When we started in 1985, television was ready for a character that wasn't a detective with a gun. I think we garnered a lot of attention from families, primarily because it was the kind of show that families could share. And obviously people are still interested in the show three decades later, but what is the appeal of conventions and expos like Armageddon for you? I really live a private, reclusive life. The house that I've built for myself here in Malibu is the perfect house for me. I have my dogs, but I don't get to meet people. I don't like the bar scene and I'm not a party guy - I've had my fill of that from the early days. I like meeting people though and there's no better way to do that than to have them come and line up to meet you. I also really enjoy getting to travel to different places around the world and I have good friends like (Star Trek: The Next Generation star) Jonathan Frakes, who I have met on a couple of these things. We just love to watch the array of costuming that people are willing to don. It's just so encouraging and elating to watch the commitment. These places also offer just such a wonderful venue - they're safe and nobody is going to judge - I love that. Richard Dean Anderson will be in attendance at the Armageddon Expos at Manakau's Vodafone Events Centre (March 5 and 6) and Christchurch's Horncastle Arena (March 12 and 13). 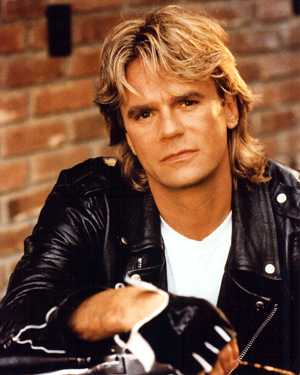 MacGyver screens on weekdays at 4.35pm on Sky TV's Jones! channel. Croot, James. 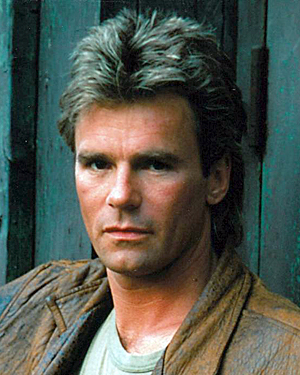 "MacGyver's Richard Dean Anderson Headed to NZ." Stuff.co.nz. February 26, 2016.